Cox. James C. Beavers. son of Mrs. W. I. Landrum, attended school in Hollister and Frederick. 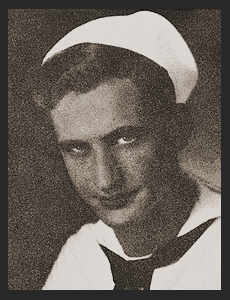 Entered Navy in1943, trained in San Diego, Cal. ; went overseas in Sept.,1943; served in the Gilberts, the Marshalls, Bismark, Palm Beache Philippines, Okinawa, Japan; did duty in Norfolk,Va. Awarded ETO Ribbon with nine Battle Stars.